This yummy pesto is 100% organic. Sicilian Pesto is a great choice for your summery first or main course. It is a great variation of the Genovese Pesto. It has a peculiar delicate taste and a red warm colour, like the island that gives it his name. 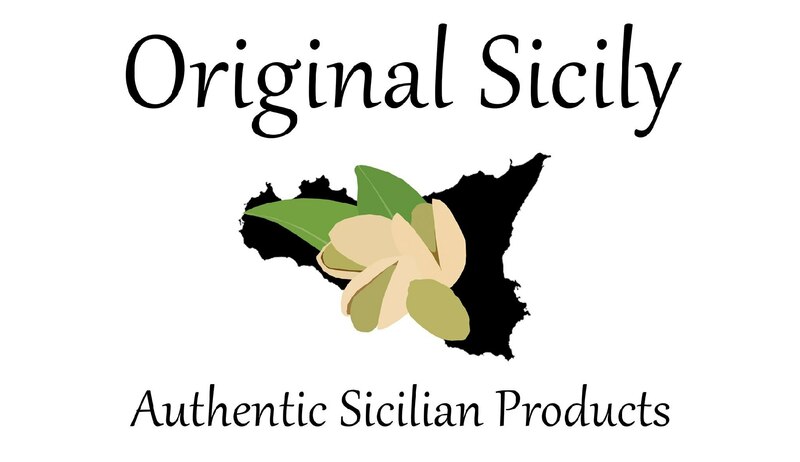 Read about the history of the sicilian pesto in here. 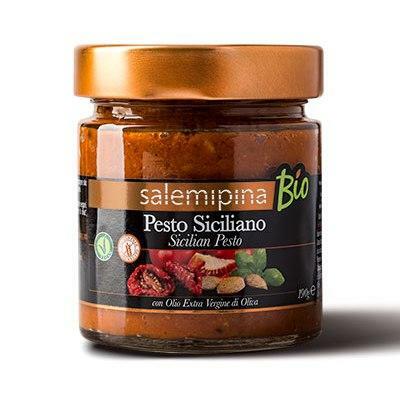 It is a perfect sauce for pasta dishes and to enhance the flavour of meat dishes, and its rich of genuine ingredients like the Pachino cherry tomatoes, sun-dried tomatoes, basil and almonds. Without any added sugar and preservatives. After opening, add extra virgin olive oil and keep refrigerated. Consume within 10/12 days after opening. Ingredients: tomatoes 69%, sun-dried tomatoes 17%, extra virgin olive oil, almonds 1%, basil 1%, vinegar, salt, garlic, chilly.